The History of Egypt Podcast is pleased to partner with Taschen books, the world’s leading publisher of high-quality art and photography works. 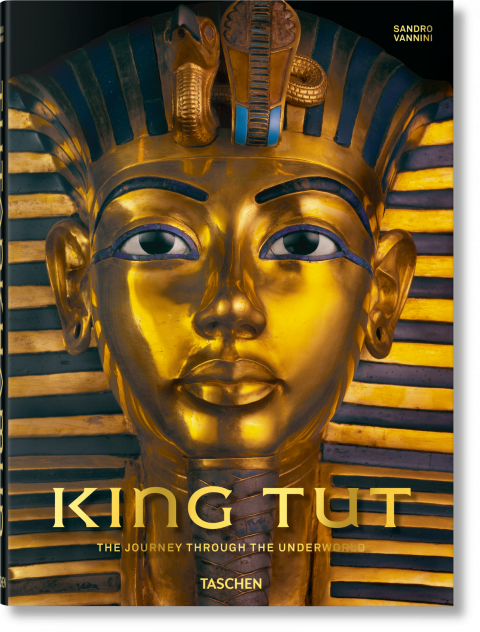 Now, in conjunction with some of the world’s leading Egyptologists, photographer Sandro Vannini has compiled a gorgeous look at the material and artistic world which Tut’ankhamun inhabited. From his birth c.1350 BCE to his untimely death twenty years later, Tut’ankhamun lived in a world of profound religious and ideological tension. The ideals which prevailed under his father, and those which informed his own burial, were at odds with one another. In this expansive work, Vannini and many Egyptologists (incl. Salima Ikram, David Silverman and Miroslav Barta) lay out aspects of this world. It is sure to be a fascinating work and a beautiful addition to your library! The History of Egypt Podcast has partnered with Taschen as an Affiliate; any purchases made at Taschen.com, using the links provided, will earn a small commission for the podcast. This applies to all purchases – not just Egyptian books – so you’ll be helping the show maintain its costs.